There’s a way to get tooled-up with the best tech in the world without spending all your spare income on your gadget hobby. It’s BLINQ. This site lets you buy everything from Beats headphones and Apple iPads to sonic toothbrushes and smart multi-cookers. You can get them all at a cut-down price. How? BLINQ sells overstock, returned and refurbished tech, offering you a big discount on items often virtually indistinguishable from brand new. BLINQ works with top retailers, selling items they no longer can. That might be because they have too much stock of a line, and no space to keep them. Or because a customer changed their mind and returned a tablet the day after it arrived. All of BLINQ’s items are thoroughly inspected, and it receives new stock every day. You’ll have to be quick to get the best deals. Head over to BLINQ.com and you’ll see a description of each item’s condition. Saving 30 per cent on an iPad mini that “Item looks and feels new” but comes in special refurb packaging sounds a good deal to us. If these items didn’t make their way to BLINQ, many would end up in landfill. That’s right, top-quality gadgets worth hundreds of dollars heading for the trash. You can even feel green when buying from BLINQ. Less waste can only be a good thing. In 2017 alone BLINQ saved 306,903 items from landfill. Refurbished tech offers the cost benefits of buying “used” without the risks. Some items are as close as “brand new” as you can get without having the cellophane still there. Others do have some signs of wear, like a scratch or scuff or two. However, BLINQ tells you about all of this. The prices always reflect the condition too. And even if you couldn’t tell the difference between a refurband a brand new model sitting in your other hand, you still get a big discount. 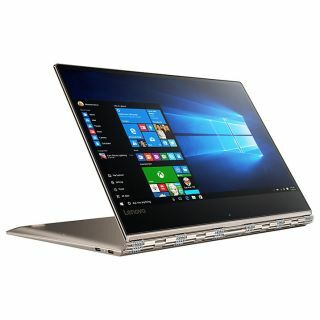 Right now you can buy a Lenovo Yoga 910, originally on sale for $1399, for just $693.39. Or a “like new” 65-inch 4K TV from Haier for $441.69 that once cost $1474.99. As little as a scuff on the packaging can save you hundreds of dollars with BLINQ. Whether you’re after a phone, laptop, camera or TV, you’ll find a deal there. It doesn’t just deal in gadgets either. BLINQ also sells furniture, fitness equipment, toys and more. Buy from BLINQ and you get a few extras to keep your mind at ease. Delivery is free within the US. There are no hidden costs to consider when you shop. All orders come with a 30-day money-back guarantee. Change your mind or find a product not quite up to your expectations and you can send it back. BLINQ’s VIP returns service offers free returns labels, and once your item has made it back to BLINQ your full refund will be processed in 1-2 days. What do you need to keep in mind when buying refurb tech? Aside from casing damage, a loss of battery capacity is the main way gadgets age. It’s a fundamental characteristic of the lithium-ion tech these cells use. While most refurb devices will not have been used extensively, this is one reason you may want to hunt down a “like new” model when shopping for a phone or laptop. However, modern phones last several years without a noticeable reduction in battery life. Want to give BLINQ a try? You can currently get a 10 per cent off coupon if you subscribe to BLINQ's mailing list.